Ohio’s Cuyahoga County– home to Cleveland– is looking at using Pay for Success (financed by social impact bonds or SIBs) to help homeless children stay with their own families and avoid the foster care system. The county stands to save millions of dollars, and, more important, families could be stronger, healthier, and happier. 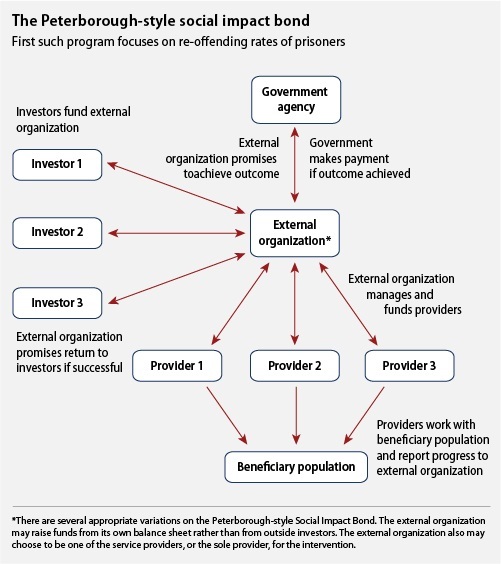 “Diverting dollars that would otherwise be used for foster care to solve underlying family problems makes so much sense,” said Joe Recchie, Praxia Partners founder and advocate of social impact bonds. He notes that the SIB plan is the latest in a long line of efforts to reduce the number of children who enter the foster care system. “Our Division of Children and Family Services has led the country in child welfare reform, reducing the number of children in foster care in Cuyahoga County from over 6,000 to 1,700 in 10 years.” However, the County still spends $35 million every year on foster care. 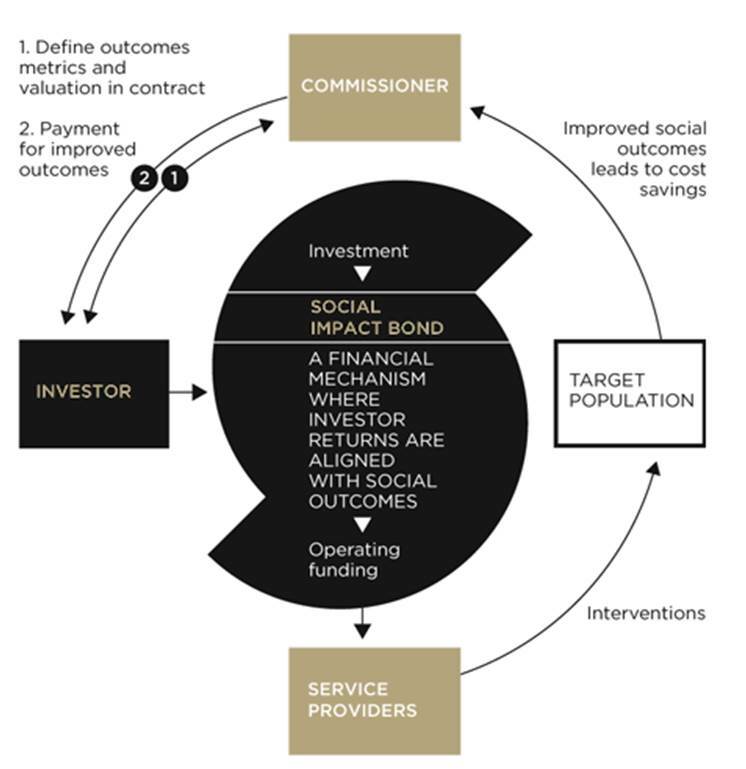 An example of social impact bonds from the UK. Care of the Center for American Progress. transition services for youth with disabilities that enable young people to enter postsecondary education and obtain employment. This entry was posted in Finance and tagged children, Cleveland, families, homelessness, innovative finance, Innovative Finance Series, inspiration, Joe Recchie, Ohio, Pay for Success, SIBs, social impact bonds. Bookmark the permalink.